Want to do work in Railway department then, now you have great chance to start doing a career in Indian railway department with the Posts of Group-D Posts under (RRB- Railway Recruitment Board)/ RRC (Railway Recruitment Cell) Then, get selected on the basis of written Exam. As RRC Railway department inviting interested candidates for appointed of 1,03,769 Bumper Posts for Level-1 Posts & 45,906 Other Reserved Posts Jobs vacancy in Group D under Railway recruitment overall in India. If you possess minimum eligibility (As mentioned Below) then, you can do online registration from the official portal website of any RRC 17 Cells and RRB 21 Regions or direct from Railway Main Website i.e www.indianrailways.gov.in (Note: No other Apply Method will be accepted). 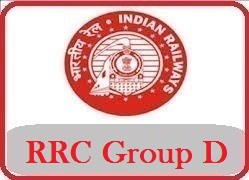 We are requesting the candidates that, they must first go through official notification & all important detail regarding RRC recruitment 2019 Group D Level-1 Notification. RRC is authorized to recruitment intended candidates under Group C Posts under region & Cells overall in India. Railway Recruitment Board is responsible for conducting written exams or Interview for filling vacancy position Posts in Rail department. Application form available Soon and will remain active 12-03-2019 to 12-04-2019. Below we share all Indian Railway Group D recruitment current running & upcoming Posts notification detail so, stay tuned with us. Educational Qualification for Gateman, Track Maintainer and Other Posts:- As this vacancy going to be filled for Level-1 Posts vacancy, So for given Posts Applicant need to have 10th pass (OR) ITI from institutions recognized by NCVT/SCVT (or) equivalent (OR) National Apprenticeship Certificate (NAC) granted by NCVT in any given trade. If you possess Minimum Eligible criteria then, you can Apply Online Application form from the official website link that is Available below But, before going applying process you must need to be aware of selection process criteria that you need to be Qualify to get successfully constable jobs. Document verification & bonus marks on the basis of NCC/ sports certificates & height. If you are not eligible for RRC Current running notification then, you can also check other 21 railway recruitment Board wise Jobs notification from the link Below. RRB Syllabus consists of the Following topics. Knowledge of Current affairs, Indian geography, culture and history of India including freedom struggle, Indian Polity, and constitution, Indian Economy, Environmental issues concerning India and the World, Sports, General scientific and technological developments etc. Physics, Chemistry and Life Sciences (up to 10th Standard CBSE syllabus). If you are looking for more notification to be released by Railway recruitment under RRC Cells Railway cell then, you can visit this page every day or just subscribe our website to get direct recruitment in your E-mail So, that you never miss any Jobs notification from railway recruitment cells. Want to do work in Railway department then, now you have great chance to start doing a career in Indian railway department with the Posts of Group D Level-1 Posts and get selected on the basis of merit list (As per Qualifications). As RRC South Eastern Railway department inviting interested candidates for appointed of 4914 Group D Level-1 Posts Bumper Posts Jobs vacancy under Railway recruitment cell overall in Kolkata. If you possess minimum eligibility (As mentioned Below) then, you can do online registration from the official portal website of RRC Kolkata i.e www.ser.indianrailways.gov.in (Note: No other Apply Method will be accepted). We are requesting the candidates that, they must first go through official notification & all important detail regarding RRC SER recruitment 2019. RRC Kolkata is authorized to recruitment intended candidates under Group C & Group D Posts under South Eastern Railway zone. Railway recruitment cells are responsible for recruiting Group C & Group D Posts in Indian Railway. Now, current running vacancies Posts is Various Trades under Group D Level-1 Posts. Who’s application form available from 12-03-2019 to 12-04-2019. Below we share all rrb ser recruitment current running & upcoming Posts notification detail so, stay tuned with us. Educational Qualification for Level-1 Posts:- As this vacancy going to be filled for Level-1 Posts vacancy, So for given Posts Applicant need to have 10th pass (OR) ITI from institutions recognized by NCVT/SCVT (or) equivalent (OR) National Apprenticeship Certificate (NAC) granted by NCVT in any given trade. 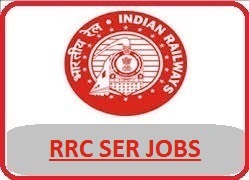 If you are not eligible for RRC South Eastern Railway (SER) Current running notification then, you can also check other 17 railway recruitment cells wise Jobs notification from the link Below. If you are looking for more notification to be released by Railway recruitment under South Eastern Railway cell then, you can visit this page every day or just subscribe our website to get direct recruitment in your E-mail So, that you never miss any Jobs notification from ser railway recruitment cell.